﻿ Fiesta Henderson Hotel, Las Vegas (NV) | FROM $39 - SAVE ON AGODA! "Decent place for the money ." Have a question for Fiesta Henderson Hotel? "The water pressure in the shower was wonderful." "The dealers were all friendly and smiling." 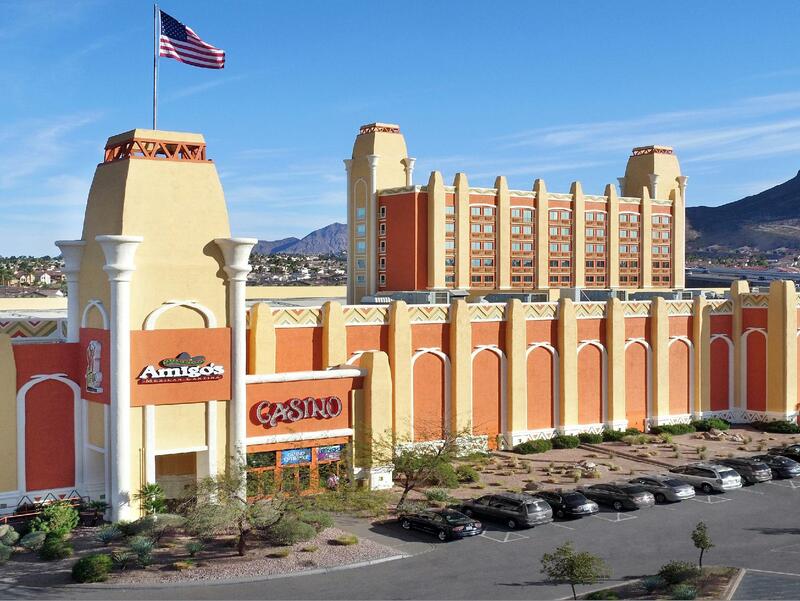 "Fiesta Henderson is a huge casino complex off US93 just outside Las Vegas." All 224 rooms at this 3-star hotel are tailored to satisfy guests' needs. Included in all rooms are air conditioning, in-house movies, a hair dryer, an ironing board, a television, and a bathtub. Guests will enjoy the hotel's excellent facilities and services including 24-hour, a casino, a restaurant, facilities for the disabled, and a business center. With a full range of popular amenities and a friendly, caring staff, it's no wonder guests keep returning to Fiesta Henderson Hotel. Reservations are simple via our secure online booking form. Just enter your desired dates and submit. "Rooms were very clean and large and the staff was great." The property requires a refundable security deposit of USD 100 upon check-in. Only pets weighing under 30 pounds are allowed for an additional charge of USD 55 plus tax per stay per pet at the property. Pool and jacuzzi are outdoor but were open for use. The room was clean and the bed was comfortable. The water pressure in the shower was wonderful. The dealers were all friendly and smiling. They seemed to enjoy working there. Casino offers a $3 blackjack table. I will definitely stay and gamble here on my next road trip through Vegas! Could not get room warmer than 72°. Complained to mgt upon checkout and did not even get an apology. We felt like we were being nickel and dimed and the Fiesta. If you wanted a fridge/microwave in your room that was extra, there was no coffee maker, and even WiFi was EXTRA. No breakfast and when we ate in the cafe everything on my plate was cold. We had the dinner buffet and it was separated behind a huge bunch of hanging plastic so we weren't even aware we were missing half the offerings until I asked, do you have a salad part at this buffet? We were told to walk around the room to find it. It was a long walk. Also seemed kind of off that there were only two elevators, side by side, for a ten story hotel. A lot of waiting and full elevators. Our room's doorway had carpet strings coming up from improper carpet laying in the hall. The stinkiest, worst, most disgusting room with sticky and smelly floors and textlies and furniture I have ever slept in. Avoid at all costs. I didn’t have hot water fo 3 out of the four days I was there, it was lukewarm if that! Some would considers to be cold!!! They tried to fix it and it worked for one day, I was contacted by one of the hotels personnel because of the survey I filled out, and I was not even considered for a refund of a night or anything! My room had a king bed and was on the 7th floor. The room looked old and dirty, the shower/tub drain was clogged and water would back-up, no coffee maker, no small refrig, and no room safe to lock up valuables. The hallways, elevators, and gaming areas also looked dirty and worn. I tried the buffet and was extremely disappointed, as the food was slightly warm and taste was not acceptable. I would not recommend the Hotel to family or friends. As I said before, my schedule required me to have a microwave. I go to work at 4:00 in the morning therefore, I would have liked to have made some food. This is one of the reasons why I moved out. The other reason is I need a fridge And it was an extra $15 A-day for a fridge. It was very nice due to the amount of time I was staying there, they waved that fee me. Over all, a very good price when you go downstairs to get the players card. You get discount on food and items. To many dogs, to many allergies, no air in elevator to parking garage and it's 115 outside. The air in room turns off everytime you leave and nobody want to leave in the summer when it's 115 outside to go visit places to come back to a hot room that takes forever to cool down. All the other hotels have good air conditioning. The front desk says this is to cut down on cost. Will if you can't afford to keep your customers comfortable than we will go else where. Your coat and bills are not our problem, we pay our share before we arrive. Checked in at a great time my room was clean and quiet so i was able to relax . The buffet was not that greatest. The food was terrible.